The article below explains different ways of updating Micropod 2 Software to the latest version if the PC/Laptop has been installed with 13.04.49 or later version. 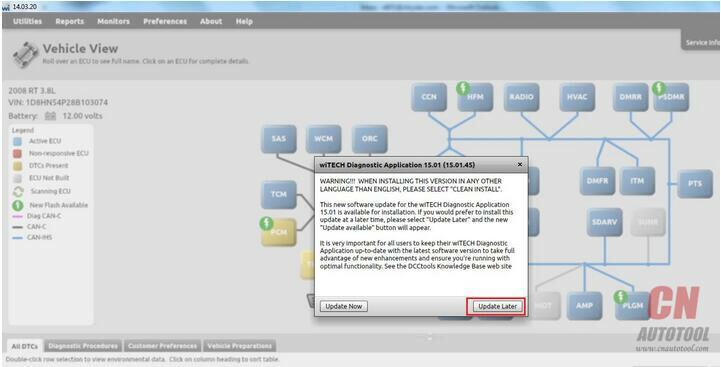 User can click on the “wiTECH Update Available” button whenever it is convenient to start the update process. 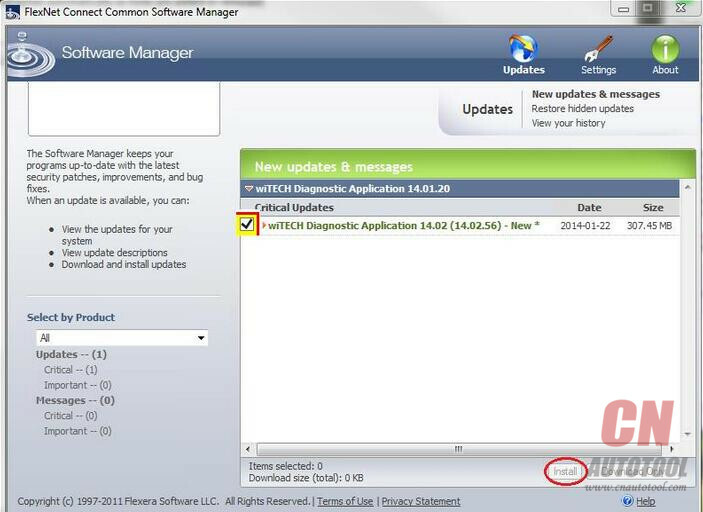 Upon selecting the “Check for Updates” option, the Software Manager should launch and display the latest update. 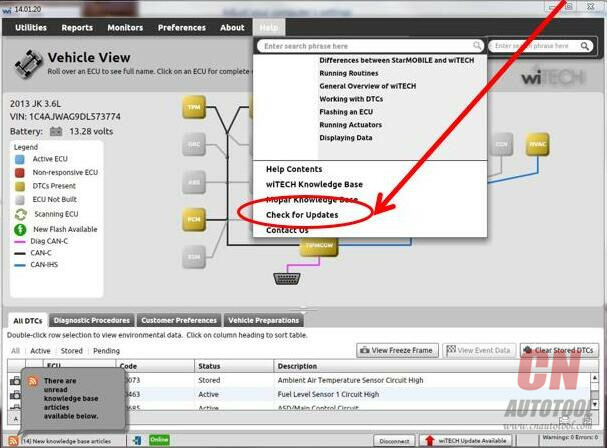 Please check the checkbox, click on “Install” button and follow the on-screen instructions. 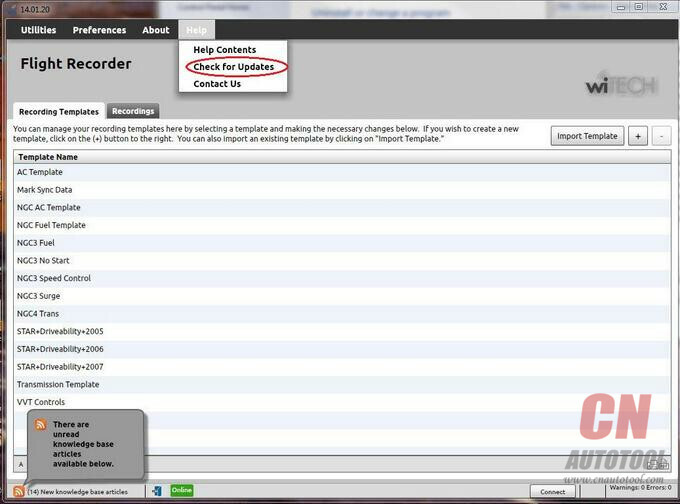 When you select “Check for Updates” option, you may see “There are no application updates available at this time” in a message window as appear in the screenshot below despite there is an application update. 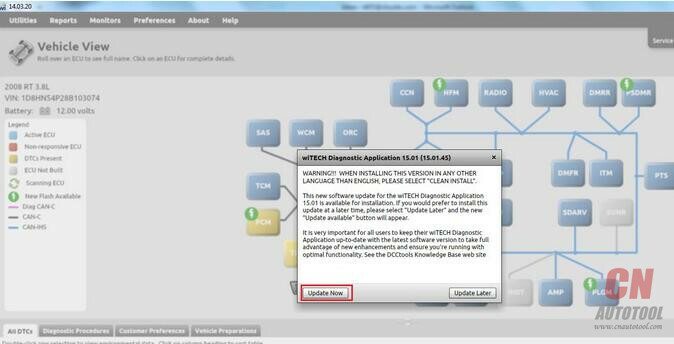 Please follow the steps listed below to update the wiTECH Application Software manually. 2.Software Manager will prompt if an update is available for the Chrysler wiTech MicroPod 2. 3.Follow the Install Shield Wizard prompts to complete the install.